FAST CHARGING - High-quality copper wire to charge more stable and faster, saving you a lot of time while extending the battery life. SUPER DURABLE - Most premiums Zinc Alloy Joint casing on our cable tips to ensure they are resistance to everyday use therefore it will not fall out or get loose. 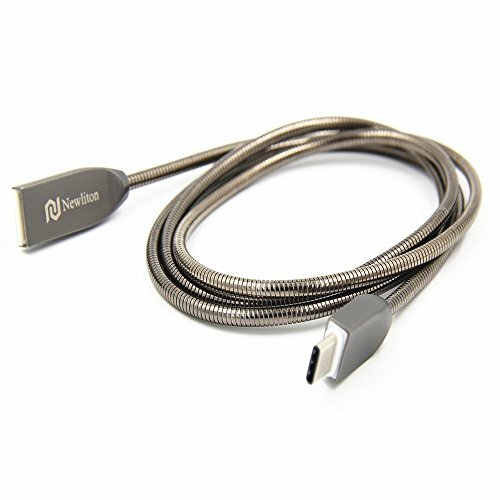 STYLISH NYLON BRAID - Aluminum alloy braided USB C Cable, more stylish and durable., Tested 10003 + bending Life. PERFECT COMPATIBLE - USB Type C Cable can fast charge and sync well with Samsung Galaxy S9 S8 Note 8 LG V30 V20 G6 G5 Moto z Moto z5 Google Pixel XL Nintendo Switch and More. 18-MONTH WARRANTY - We provide this 3.3ft USB Type-C Cable with 18-Month Warranty and 27 hour customer service, if you have any questions.